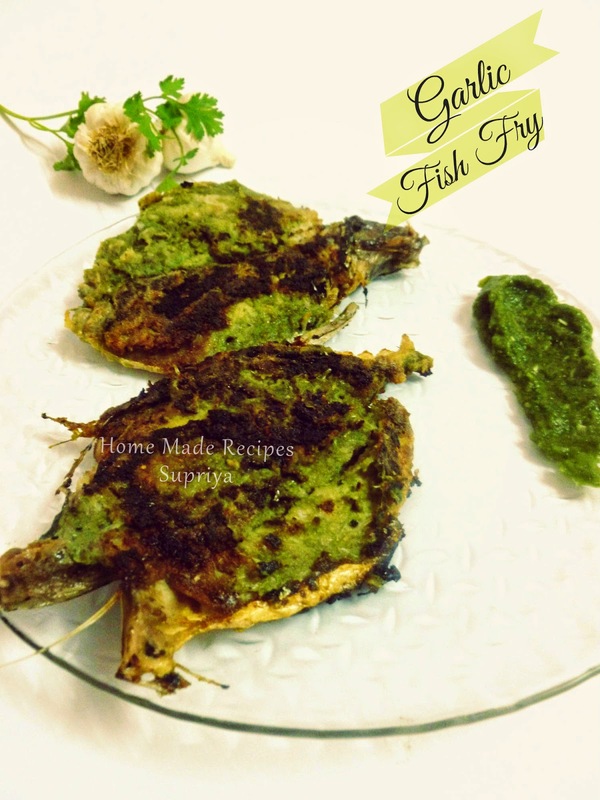 Garlic Fish Fry- A very easy and quick recipe for all the seafood lovers. This was my experiment with fish a couple of months back and the result was awesome. We all just loved it. After that, its on our menu once in a month or sometimes more. The garlic flavors and the spiciness of chillies gives an aromatic and excellent taste to this fry. The main ingredient here is offcourse the Garlic. The more you marinate, the tastier the fish fry gets. I marinated it for an hour. Pick any fish you like. I tried this dish out with Mackerel Fish, also known as Bangda fish. 1. Clean the fish and make cuts on it with a knife. I slit the fish by just running the knife from the sides till the other end just above the bone and then opening it. This was just to give more flavors to the fish. You can skip doing this. 2. Make a paste of garlic, green chillies, salt, coriander leaves and tamarind(paste)to a smooth paste. 3. Apply this to fish and marinate it for atleast 30 to 45 mins. 4. Heat some oil in a pan. Coat the fish with some rice flour and carefully place it on a frying pan. 5. Cook on both sides till done. You can use any fish you like. Tamarind paste or amchur powder can be replaced by few drops of lemon juice. Rice flour is optional. Again, if you like, go ahead with semolina (rava) for coating to give extra crispiness to the fish fry. 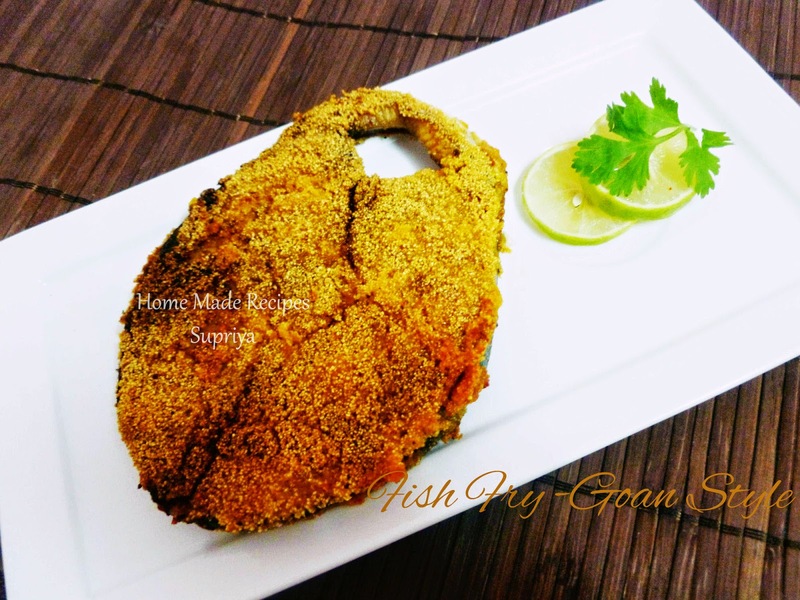 Need more varieties of fish fry ...click here.